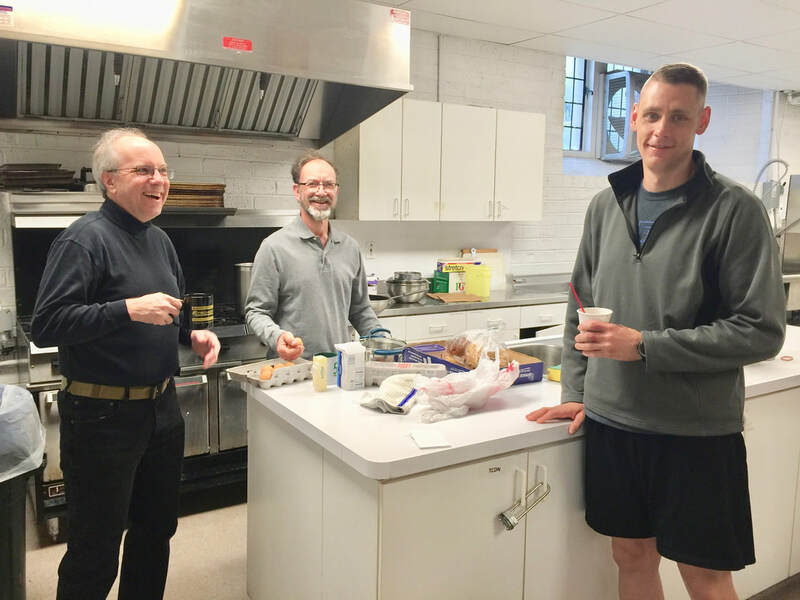 On the third Saturday morning of the month, a group of men gather in the Parish Hall for a potluck breakfast, prayer and fellowship. This past year they hiked through Ridley Creek State Park, held a Parish-wide cookout on Father's Day, and helped with the Pancake Supper and Pasta Dinner. The men build each other up through faith, prayer, and discussion. The group strives to be connected with each other, connecting with the world beyond Trinity, and connecting with their faith and God.